string(1203) "Resource Centre > Uncategorized > Engaging the Private Sector to End Human Trafficking. 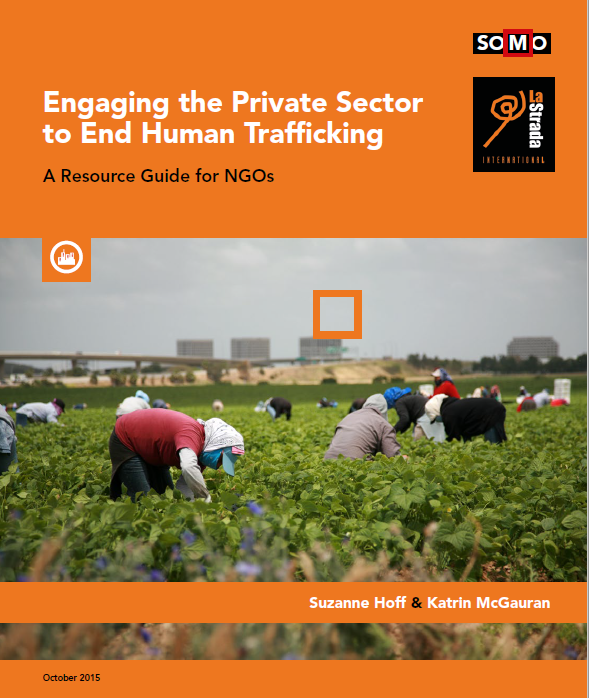 A Resource Guide For NGO’s"
This guide aims to provide NGOs working on trafficking and forced labour, with knowledge and tools to engage the private sector in their work. Different vulnerable sectors and the role that corporations could potentially play in contributing to and preventing human trafficking are described.